After such an intensive start to our year with the team having already completed the first two rounds of the Australian GT and the Porsche Carrera Cup championships we were looking forward to a slightly less formal (but no less competitive) weekend of racing at Sandown for the opening round of the Porsche GT3 Cup Challenge. 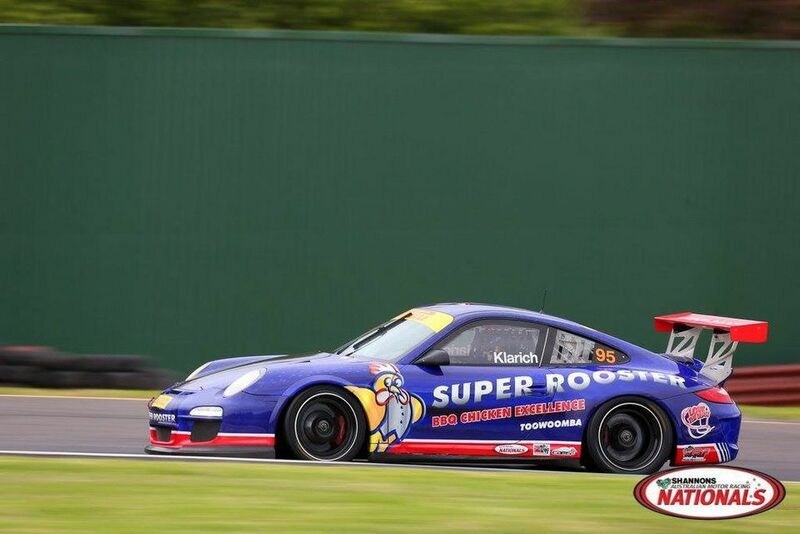 Joining our 3 returning drivers in the MR #GT3CC team for 2016 is Karting sensation Jake Klarich who is very fortunate to be starting his career with backing from Porsche Cars Australia after being awarded the 'Jamie Blaikey Porsche Young Gun' scholarship showing the manufacturer's great faith in his potential. Last year's B Class runner-up Jaxon Evans has updated to a newer spec A Class car with new livery and has his eyes set on outright honours in 2016 while his 'Elite' (semi-professional) team-mate Tim Miles is looking to improve on his third place result from last season. Tim will be joined in A Class 'Elite' by his MR team-mate Jim Campbell who has also updated to a newer car. Unfortunately Jim had to miss the opening round due to recent surgery. After qualifying 2nd in Elite, Tim had an excellent start in race 1 but not quite good enough to pass Elite pole-sitter David Ryan. Tim had his hands full chasing-down Ryan applying significant pressure, which unfortunately concluded with Ryan running wide and crashing at turn 6. Race 2 was every bit as challenging, this time racing former champion John Goodacre for most of the 12 laps until an unsuccessful move to pass Tim at turn 1 resulted in a spin dropping John down the order, handing Tim his second win. In race 3, Tim's start was so good it almost defied the laws of physics. 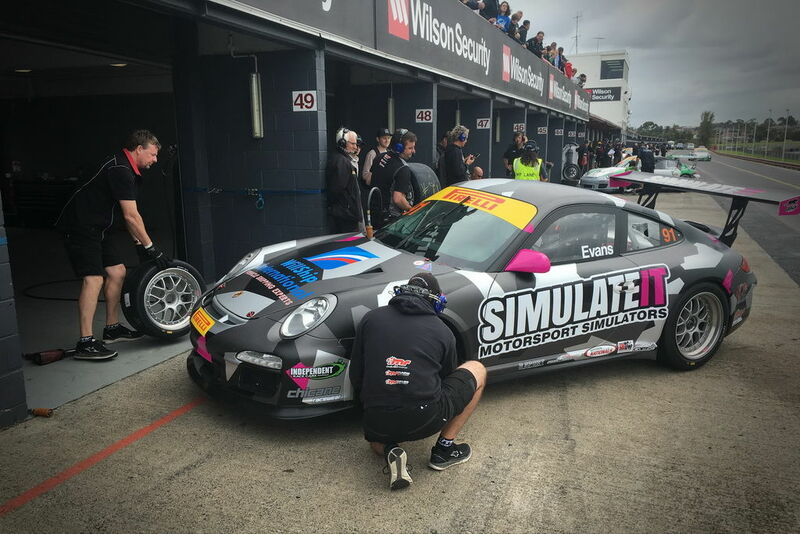 In an epic battle between 'youth and experience' Tim was able to keep his team-mate Jaxon Evans at bay after Jaxon lost his front splitter on the opening lap. Tim fully deserves to be leading the Elite championship after a faultless performance! Jaxon had a very strong practice on Friday showing great pace and backed it up by putting the stunning looking 'SimulateIT' car on pole. In race 1 he lit the tyres up at the start which dropped him back a few spots. He then needed to use some of his new-found aggression to elbow uncle Tim Miles wide to retake third spot into turn 1. It then took him another few laps before he could get by Ryan which left him too far away from leaders Simpson and Hardeman for any chance of a charge for the lead. In race 2 Jaxon's engine slightly bogged down at the start allowing Tim and Goodacre to get by. He drove another smart and fast race but wasn't able to catch the two in front despite setting a laptime less than 2/10ths off the race winner Simpson. In race 3 Jaxon had a rough first lap getting launched over the kerbs into turn 2 which dislodged his front splitter setting the scene for a long arduous race without the assistance of the additional front down force. He tried every trick in the book to get by Tim, but had a great race none-the-less. While Jaxon didn't get the results he was after at Sandown he clearly has the pace to win and is sitting 3rd so he is really looking forward to our next outing. 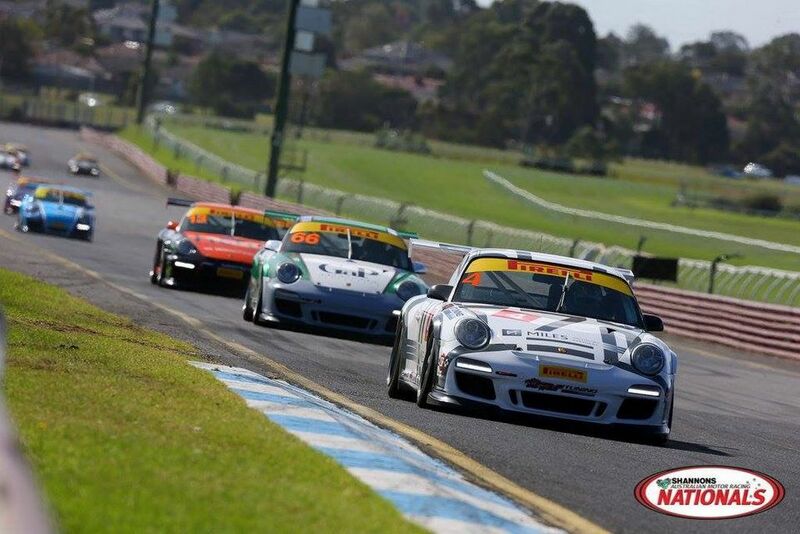 This was Jake's first GT3 Cup Challenge race since graduating from Karts to cars. He has a very level head and had modest expectations for his first weekend, preferring to focus on learning as much as he could from the experienced MR team. He qualified 7th outright in the 17 car field. In race 1 Jake didn't get the best of starts but put his head down and worked on getting to grips with a car with shock absorbers and springs (unlike karts) on the notoriously bumpy Sandown circuit and made his way up to finish 8th outright. In race 2 he got a good start and made his way through the pack showing great pace to finish 5th outright, just behind team-mates Jaxon and Tim. In race 3 Jake had a tough start which cost him quite a few spots providing him the perfect opportunity to learn plenty as he caught and passed many of the more experienced campaigners. We were very impressed with Jake's Porsche debut and have no doubt Jake's measured approach, maturity and blinding speed are going to result in him being a future GT champion. Jake has a very level head and had modest expectations for the weekend preferring to focus on learning as much as he could from the experienced MR team. 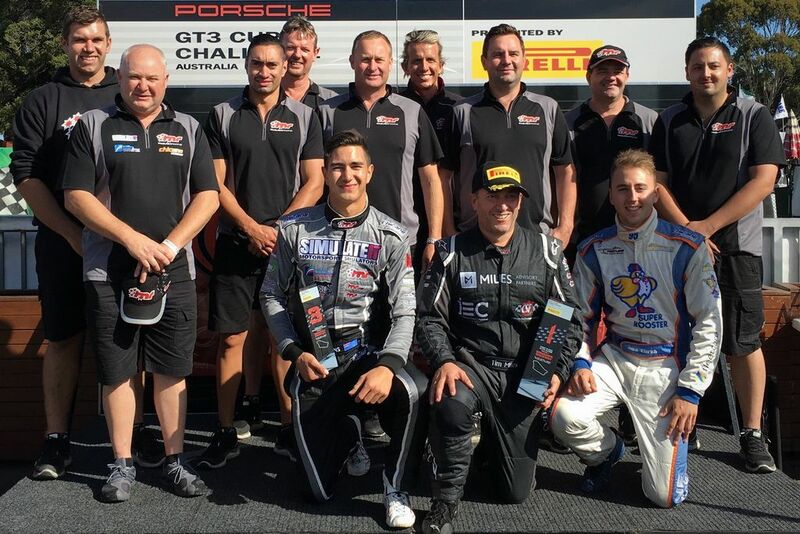 While we missed the huge personality of our team mate Jim Campbell, it was a great start to the championship for all 3 of our #GT3CC drivers. 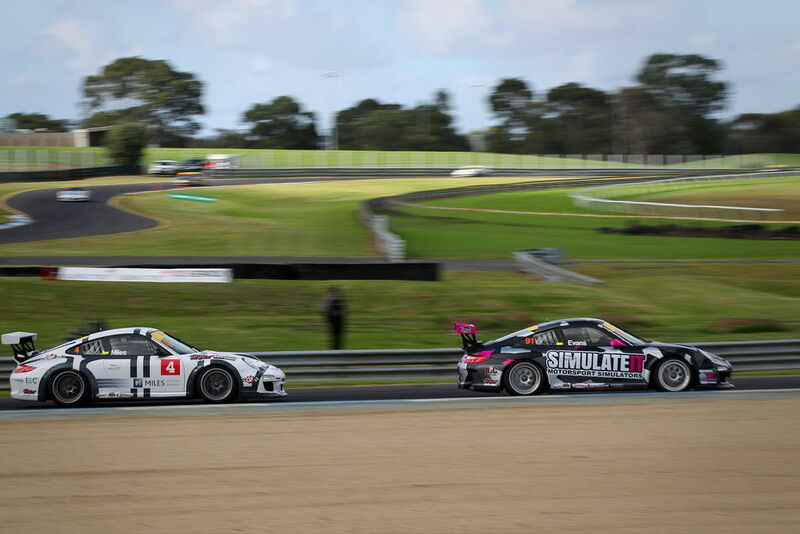 We have a test at Sydney Motorsport Park coming up ahead of the combined Carrera Cup and GT3 Cup Challenge #Rennsport event and we are looking forward to tuning up all of our cars and drivers in preparation. We hope to see you all at #Rennsport at the end of April! Starting from back left - James Henderson, John Evans, Jarom Broadhurst, Simon Bishop, Andy McElrea, Warren Luff, Daniel Deighton, Leigh Geyer, Timmy McCumstie, Jaxon Evans, Tim Miles, Jake Klarich.